Make it the right height. The floor desks in this series are all drawn with a knee-space 12" high. You need space for your knees without putting your keyboard too high. If you're particularly tall or short, you may want to do some measuring to get a good fit. Sit down a measure from the floor to your elbows to get a good idea of your keyboard height, but also measure to the top of your knees to make sure your legs will fit! If you plan to sit on a cushion or bosu, sit on it while you measure. Keep it safe for the kids. The low height of these desk makes them very accessible to children! So think carefully about everything you will put in an on the desk to avoid sharp objects, choking hazards, and anything you don't want broken. Ease into it. Not used to a floor work station? Don't ditch your standard desk just yet. You might need to go back and forth for a while while you adjust. Don't just sit down there. Just like standing still or sitting in a chair all day, sitting still on the ground all day isn't going to be that beneficial for you either. Use this chance to move your legs, stretch your calves, and change position often. These links will start going up tomorrow, but for today we'll be looking at all the other desks in this series that can easily be altered to create a standing desk, plus one other super easy floor desk idea. 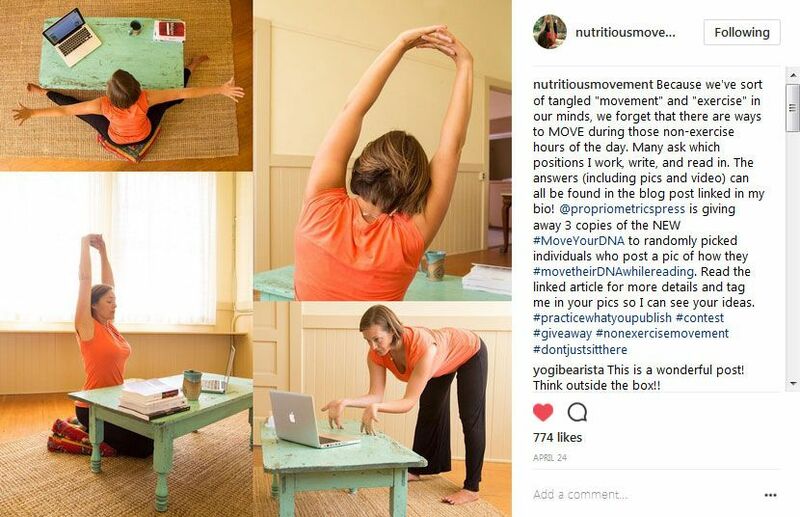 Just for a minute let's talk about Katy Bowman's floor desk up at the beginning of this post. Because it's beautiful and easy and I love it. A vintage coffee table (or a vintage table with the legs cut down to height) also makes a perfect, one-of-a-kind floor desk!